Keywords usually give more results, but also include miss-hits. Subject searches generally give less, but more accurate, results. Request books from other libraries using your CMCC ID (it has to be 'activated' at the library). Allow for roughly 2-5 business days for delivery. Popular eBooks and eAudio books. Login with your CMCC barcode and then create your own personal login. 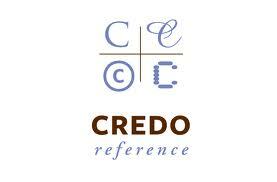 Provides researchers with access to over 3.2 million entries from over 475 reference titles. These titles include general and specialist dictionaries, encyclopedias, biographies, and quotations covering many subjects including medicine, business, religion, and geography. Search everything in CMCC, Minerva and all the other major libraries in Maine including UMO, USM, Bowdoin, Bates, Colby, Portland Public, Bangor Public and more. There are over 8 million items from over 110 different libraries. Authoritative ebooks in a range of subjects from the world's top publishers. Read online or download. Search CMCC's collection as well as other major libraries in Maine and other libraries throughout the U.S. and internationally. WorldCat is good for unusual items that might live in special libraries. If you find an item that is out of state, you simply need to fill out a form and a librarian will request this for you. Allow 1-3 weeks for delivery. ebrary has thousands of current academic titles. Login off campus with your barcode # on the back of your CMCC ID. Click ebrary for access to thousands of academic e-books. Psychology books too! << Previous: Find Articles and more!